Full-color photos. 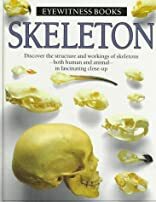 "An arresting introduction to skeletons. Each spread has an introductory paragraph plus captioned drawings and spectacular photos. Topics include exoskeletons, fish, birds, mammals, arms, skulls, and teeth. 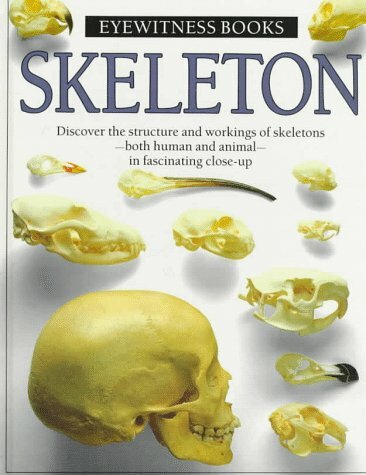 The look at the human skeleton also gives discussions of skull, spine, ribs, arms, and legs, plus front and rear views. A wealth of information, beautifully presented." --Kirkus.